Pick-Up Service: The Lobby of your Hotel: Phuket ATV Safari tour: Patong – Kata – Karon / Free Transfer; Surin Beach, Kamala, Bang Tao Beach extra 200 bath/Pax. Pick up times every day starts with air-con minibus: 8.30 am, 11.30 am, 1.30 pm. After booking you will receive confirmation by email with also all pick up information with time and drivers numbers. Enjoy this nice and well organized Phuket ATV Safari tour, enjoy ATV Adventure 1 hour (200 cc) with of course e Phuket typical sea view elephant trekking 30 minutes, amazing bird show 30 minutes. 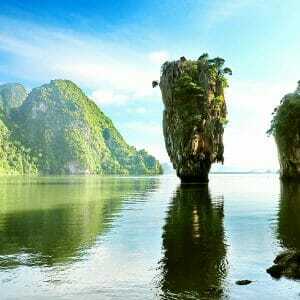 With this Half day tours you will discover the beauties of Phuket iconic animals, you will visit top attractions of the island to collect as well so many pictures and memories. 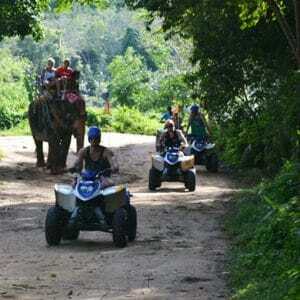 Phuket ATV Safari tour activities will start with pick up from your Hotel and the adventure tour begins. We will visiting the Big Buddha hill, famous tourists attraction in Phuket to see amazing views of the island, enduring an ATV Adventure of 1 hour. 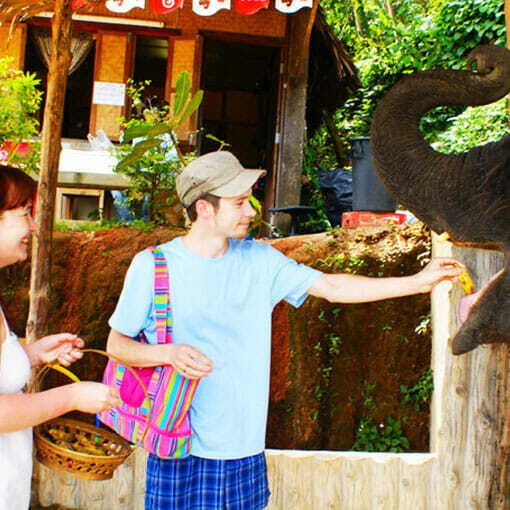 We will enjoy a lot of fun with the activity of elephant trekking, with many entertaining moments and wonderful Phuket views taking memorable pictures! 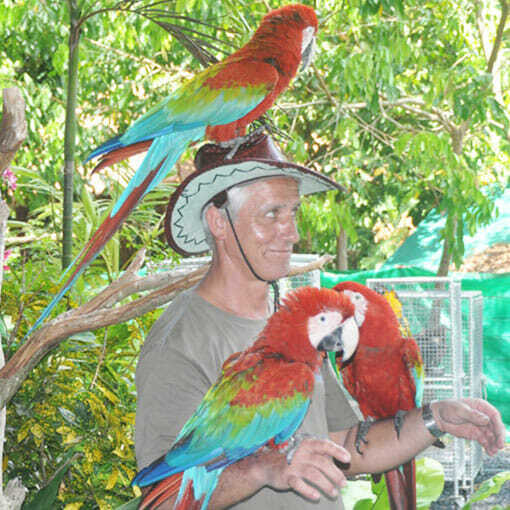 Enjoy and be entertained at the bird show 30 minutes. Transfer from / to Hotel: Phuket ATV Safari tour: Patong – Kata – Karon / Free Transfer; Surin Beach, Kamala, Bang Tao Beach extra 200 bath/Pax. 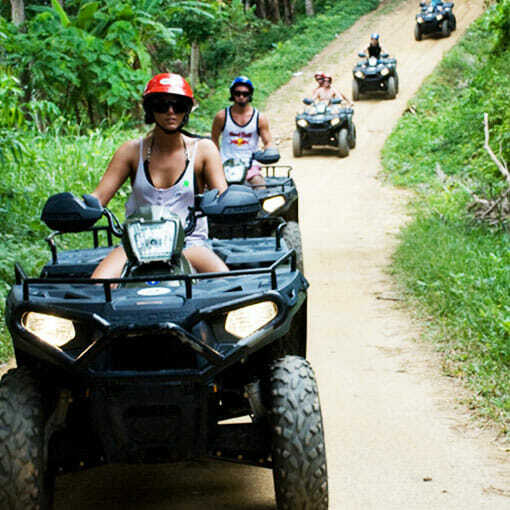 Free Pick-up Service meet at your Hotel in Phuket: Phuket ATV Safari tour: Patong – Kata – Karon / Free Transfer; Surin Beach, Kamala, Bang Tao Beach extra 200 bath/Pax.